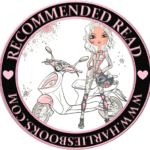 #Review of Annie’s Recipe (Hope Chest of Dreams #2) by Lisa Jones Baker w/a rafflecopter giveaway! Annie Mast and Levi Miller were childhood best friends until his father was shunned. Now, 10 years later, Levi returns to Arthur, Il, and he and Annie discover their bond is as strong as ever. Soon they begin imagining a future together, but that’s unlikely to happen. Levi is part of the English world, and Annie is Amish. But together, with love on their side, they may just find their way to an answered prayer. The small brown freckle under Annie’s right eye that he’d teased her about as a kid had developed into something of a beauty mark. It belonged there. To Levi’s dismay, his pulse picked up speed. He wanted more time with her. She was of Rumspringa age, so she could do non-Amish things. But that would only be for a couple of years, not forever. Behind them, Aunt Abigail followed in a separate buggy with Aidan and Elijah. As Levi glanced back at Jake, the kid responded with a big grin. To Levi’s surprise, an unexpected appreciation for the ambience in the buggy, often referred to as the fiberglass box, welled in his chest. He sat back as the horses stepped it up. Automatically, Levi looked down. There wasn’t a trace of dirt on the beautiful navy velvet cushion that softened the hard bench. He remembered when his mother had used a lint brush to clean their buggy. On the sides were two small viewing windows and one in the back. A blue homemade quilt was rolled up and slightly draped over the backseat. He’d forgotten what it was like being in a means of transportation with no seat belts or radio. Levi missed the music. He was used to driving his dad’s truck and had traversed country roads long before he’d gotten his license a few years before. As they traveled, Levi glanced back to smile at little Jake. The response was a large toothless grin and eyes wide with excitement. Levi knew the child was dying to spend time with him. Levi had nearly decided not to come today. Even though there had been no mention of the shunning, everyone knew it had happened. He had never discussed it with anyone. He and Annie had shared everything when they were young. And despite their unbreakable bond, she was still Amish. I’ve got to stop thinking about her. What makes this book so special? The characters Levi and Annie. Levi, being Amish but then having to leave. Raised an Englischer afterward, he shows up at a wedding that Annie is attending. It’s like the years melted away for these two. You could feel the love right away with them but with one foot in the Amish and the other in the ways of the English, Levi has it rough. Ms. Baker knows her Amish. She understands their ways and also how it would feel to be in love with someone that was born Amish but raised somewhere else. What else is interesting is that the characters are young but Annie is due for her rumspringa and Levi knew this. Annie is breath of fresh air. Young but always knowing that Levi was her one and only in some ways cracked my heart. I loved reading her journal entries. Brought depth to her character and let me see things that she could do or say to her family. She is truly conflicted when it came to Levi. However, I didn’t like how her mother didn’t trust her with Levi. And all just because he was now English. If I had one thing to say about the Amish…that belief has always bothered me. This book is about love, friendship, and faith. Not just in religion but also in yourself. This a beautifully written sweet romance by Ms. Baker. I know that most of yall won’t read the book but you really need to give it a chance. There are some twists in their story that I didn’t see coming but with 10 years between them, Annie will finally get the answers she needs but what will she do once she gets them? Read the book and find out. Lisa Jones Baker is a multi-published author with Kensington Books. Her debut book of THE HOPE CHEST OF DREAMS series, REBECCA’S BOUQUET, won a Publishers Weekly starred review. A former teacher with a BA degree in French education, Lisa has been on 5 out of 7 continents, is a dog lover, enjoys positive thinkers , volunteering in her church’s food pantry, and strong female characters. Lisa will be awarding a $50 Amazon or B/N GC to a randomly drawn winner via rafflecopter during the tour. A great review. I love Amish reads. This sounds like a great book, thanks for sharing the excerpt & your review!! I liked the review and excerpt, thank you. Thanks for the beautifully written review!